Why NOT from High Cholesterol? 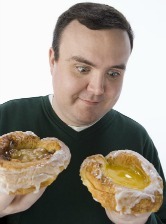 Will you get a heart attack if you have high cholesterol or LDL cholesterol? 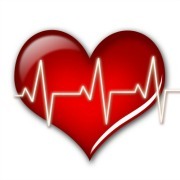 High cholesterol, according to new research, is not even a very predictive risk factor! An American study has shown that nearly 75 percent of patients hospitalized for heart-attacks had normal cholesterol levels which did NOT indicate that they were at high risk for a cardiovascular event. Almost 75 percent of heart attack patients fell within recommended targets for “bad” LDL cholesterol, according to Dr. Gregg C. Fonarow, Professor of Cardiovascular Medicine and Science at UCLA. Researchers also found that more than half of patients hospitalized for heart attacks had LOW levels of “good” high-density lipoprotein HDL cholesterol levels, as measured by US national guidelines. Why's Cholesterol’s NOT To Blame for Heart Attacks? Here's why lowering high cholesterol naturally is best, without high cholesterol medication, and risk of serious statin side effects such as Lipitor amnesia. Cholesterol serves many important roles in the body! In the context of heart health, cholesterol is an anti-inflammatory, rising in response to inflammation in the cardiovascular system. If, over time, the inflammation persists and cholesterol cannot compensate, heart disease sets in and LDL cholesterol gets the blame! What Causes A Stroke or Heart Attack? Most scientists now agree that heart disease is brought on by chronic inflammation. Instead, it is only when fats become OXIDIZED they become “sticky” and gum put the arteries. Then, it is the OXIDIZED cholesterol – specifically, oxidized LDL cholesterol -- that leads to the development of arterial inflammation. What Causes a Stroke or Heart Attack - Your Risk? People say, “I have high cholesterol” as if it is a disease, but it is not. How can you best tell whether you are at risk if cholesterol levels are not predictive? In other words, what are the best MARKERS of any underlying inflammation? Known indicators of blockage of the arteries are C-reactive proteins, (CRP’s) and these were found in the long standing Framington study to be most predictive of heart disease. Your doctor can easily check your CRP’s the next time you have blood tests done, to give you an indication of the levels of inflammation you have. “Oxidation” makes fat rancid and dangerous! You've heard of antioxidants. They protect fats from becoming rancid. How best to prevent the free-radical damage of lipids (fats) and therefore the OXIDATION of LDL cholesterol? Eating antioxidants from a wide variety of sources by eating a rainbow of fruit and vegetables will ensure the greatest protection against the free-radical damage of fats and oxidized LDL cholesterol. Also, long chain omega-3 fatty acids, e.g. from fish, are anti-inflammatory, and may be even more effective than statins, e.g. Lipitor and Zocor in reducing cardiac mortality. These can be safely used as statin alternatives, to avoid statin side effects such as Lipitor Amnesia. When fats become oxidized they become stickier, and they end up gumming up the arteries, so the presence of glutathione can prevent this from happening. Because glutathione is the body’s Master Antioxidant, it stops the oxidation of fats by making glutathione peroxidase, which keeps the fats in a safer state. The September 2004 issue of the American Heart Association journal Stroke published the findings of Japanese researchers, that higher levels of plasma glutathione (GSH) are associated with a lower incidence of cardiovascular disease, particularly cerebral small vessel disease. Fortunately, you can improve your glutathione levels by adding a cysteine-rich protein to your diet! You can ASK US for one that has been clinically shown to be able to improve your glutathione levels, as a protection against heart disease. How to know your glutathione levels? Blood tests are expensive and need to be done within hours. However, researchers have found that by the time people reach the age of 60, half of the people are seriously deficient in glutathione. Low glutathione has been shown to be predictive of heart attacks and chronic illness, whereas high glutathione levels are associated with good health. Adding the nutritional precursors for improving your glutathione levels is the best strategy for everyone. 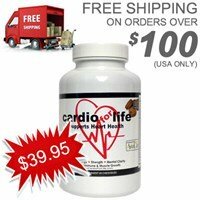 Best of natural heart supplements to keep the fats in your blood SAFE from "oxidizing" and becoming a problem. 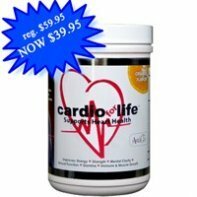 A supplement clinically proven to raise glutathione levels for best protection from what causes a stroke and heart attack. 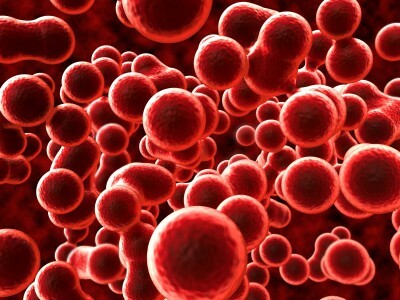 What are the recognized causes of chronic inflammation in the cardiovascular system? For most people it is insulin resistance. Typically it is due to the consumption of too much sugar and high-fructose corn syrup, along with too many processed foods that lack fiber and lack the nutrition needed from fresh fruits and vegetables. Studies have linked insulin resistance in humans to the increased amounts of fructose e.g., in high fructose corn syrup, which is the least expensive nutritive sweetener available in industrial quantities. Why is fructose so harmful? Fructose causes changes in blood lipid profiles, among other things, mostly due to its effects on liver function. Stress, pollution, emotional problems, and lack of sleep also increase inflammation. Best Prevention of What Causes a Stroke and Heart Attack with Statin Alternatives? The primary treatment for insulin resistance is exercise, and weight loss with improved nutrition with lots of fiber -- fruits and veggies. Exercise helps reverse insulin resistance. 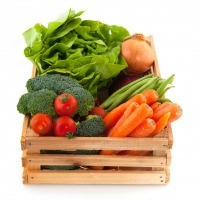 What are the right dietary changes? 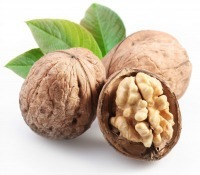 Protect against oxidative degeneration of fats in the blood (blood lipids) with: 1) antioxidants and 2) omega-3 oils. Is Insulin What Causes a Stroke or Heart Attack? In an insulin-resistant person, normal levels of insulin do not have the same effect on muscle and fat (adipose) cells, with the result that glucose levels stay higher than normal. Too much sugar in the blood causes damage to the arteries. To compensate for this, the pancreas in an insulin-resistant individual is stimulated to release more insulin. These high insulin levels in turn cause problems throughout the body – both hormonal changes as well as inflammation. So when your doctor says that you are "pre-diabetic" the damage that causes a stroke or heart attack is already happening. How do you know that this is happening? You may want to protect yourself with one of the best insulin resistance supplements! Eating more nuts, walnuts, olive oil and long chain omega-3 fatty acids from fish may be even more effective statin alternatives than high cholesterol medication e.g. 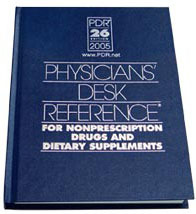 Lipitor for reducing cardiac mortality, according to research. Of all the nutritional products that can help prevent cardiovascular disease (CVD), arguably the most important is fish oil. Also, with more anti-oxidant rich veggies, and proteins that build the MASTER ANTIOXIDANT called glutathione, you will be more likely to avoid what causes a stroke and heart attack. We hope that our research posts will inspire you to lower your cholesterol naturally! You will want to avoid high cholesterol medication for sure. Why? First, because of dangerous statin side effects such as Lipitor amnesia, and second, because there are plenty of safe, natural statin alternatives! Instead, we suggest that you try natural heart supplements and see how you feel! These are among the best anti aging products against what causes a stroke and heart attack. 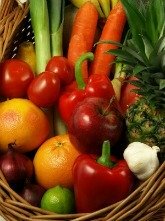 You will be well protected while you add more fruits and veggies to your diet, and get more exercise. 1. Therapeutic role of L-arginine on free radical scavenging system in ischemic heart diseases. Indian J Biochem Biophys. 2009 Dec;46(6):498-502.